I attended the Ski and Snowboard Snow Show in Denver in February. This is where shops see all next years products. While getting a product presentation, helmet manufactures are saying you should replace your helmet every 5 – 7 seasons. Seems manufactures found that an impact is not the only reason your helmet breaks down. What they found is normal use and travel causes stress cracks and problems. Think about it, when your helmet is in your travel bag, or attached to your back pack, it gets bounced around a lot and many times hits something hard. It’s this pounding that is creating stress cracks and slowly breaking down the integrity of your helmet. Simple use is also breaking it down. Have you taken off your helmet at lunch and tossed it on the table? What about dropping your boot bag on the floor while your helmet is inside? The reason you get a helmet is to protect your head in case of a collision or impact so it only makes sense to have a helmet that will protect your head properly. So now you should consider replacing your helmet every 5 – 7 years. End of Season Sales are the best save on a ski or snowboard helmet. 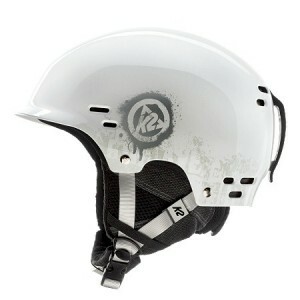 Alpine Accessories has a K2 Thrive helmet for only $39 while quantities last.